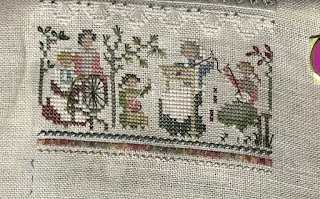 Rocky Mountain Stitcher: Victoria Sampler Heirloom Stitching Sampler. 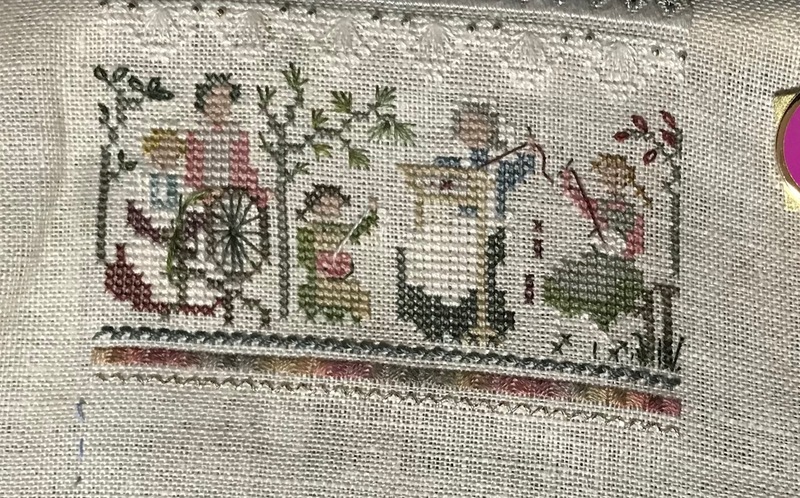 Victoria Sampler Heirloom Stitching Sampler. Was hoping to finish this section this week. Have grass and vines to complete.